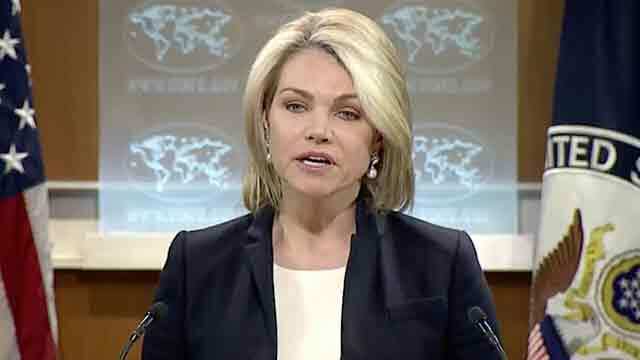 Washington, Dec 19 (Just News): Spokesperson for the US department of state Hither Nauert congratulates Sebastián Piñera on his election as the next President of Chile. We congratulate the Chilean people for participating in another successful election and demonstrating their commitment to democratic values, she said. The United States and Chile share a strong partnership based on our commitment to shared democratic ideals, human rights, and economic opportunity. We are confident the United States and Chile will continue to work closely to promote security, prosperity, and good governance within our hemisphere and across the globe, she added. We value the close relationship we have had during President Bachelet’s administration and we look forward to working with President-elect Piñera when the new administration takes office in March.